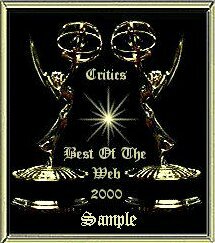 This award is only bestowed for paramount web sites! The Web master who has gone a step above Excellence. agree. In the case of a tie; I will cast the deciding vote. Of The Year award, to be given out each January. the basic award criteria mentioned under the awards program.